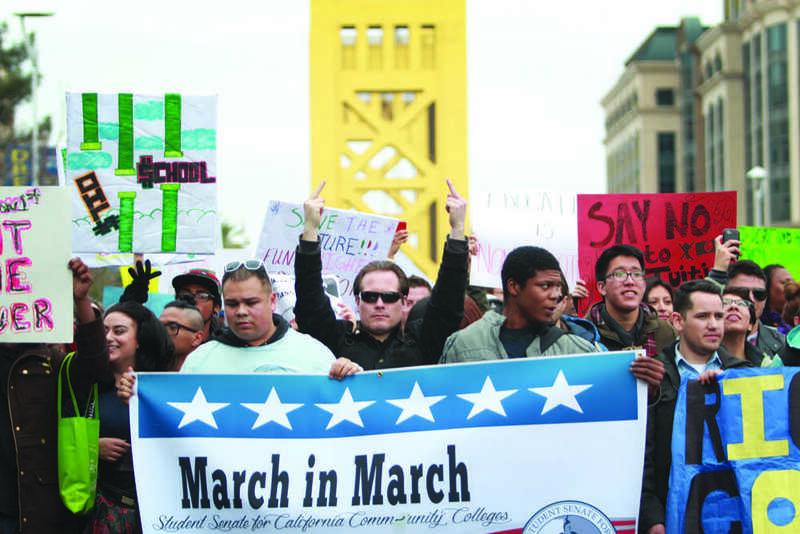 On Monday, March 3, community college students from all over California gathered at Raley Field for the annual “March In March” rally, which seeks to protect the affordability and accessibility of public higher education. Among those present were representatives from the Associated Student Body Student Senates of American River College and Folsom Lake College, accompanied by Los Rios students and faculty. The ASB representatives from the Los Rios Community College District coordinated heavily regarding their stance and goals. “We’re hoping to accomplish that we as a district can show unity, because we’re the only multi-member district in the region (two) and there’s 11 colleges in our district (region). The rest of them are single-district regions, so we’re hoping to just show unity across Los Rios, and let our other members from across the state know that we’re all here from Los Rios to support the cause,” said Hinton. Folsom Lake College ASB Student Senate President Jonathan Rogers believes that the issues addressed during the March in March are of particular importance to the Los Rios District. The Folsom Lake College ASB Student Senate Vice President Gerald Sturgill echoed Rogers’ sentiments. Among the ARC participants, five students attended, including Hinton, LeslieAnn Dameron and three students from ARC professor Jeanette Allred-Powless’ Adaptive Physical Education class, which offered extra credit for attending the march. Adaptive PE student Hubert Johnson stated that he came out of curiosity. 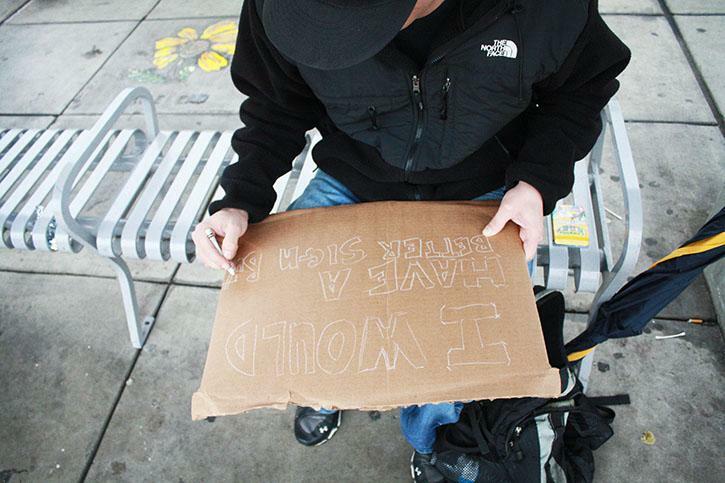 “I actually wanted to know what it was like, because this is my first time,” Johnson said. According to Sturgill, the weather on the day of the march may have played a part in the low turnout. “We thought we were going to be a bigger group because we had more people who booked for it, but they didn’t want to get rained on, so a lot of people cancelled,” Sturgill said. The march lasted from 10 a.m. until just after noon, beginning at Raley Field and ending at the south side of the State Capitol, where speeches emphasizing the importance of community colleges and thanking students for their participation were given. Students were given the opportunity to lobby immediately following the rally. Hinton did not. Be the first to comment on "Los Rios students rally at the Capitol"